Such a unique gift card. Thanks! LIKE LIKE LIKE YOU ON FACEBOOK! teheh 🙂 Thank you!! Awesome gift card! Would love to win it! Bugs…my boy would live this! I love love love your website! Thanks for the opportunities! I love following your posts on Facebook! I like you guys even more on facebook! Thanks for the chances! Thanks for the super giveaways! Boy, I could make this gift card go pretty far! With your priceless help, of course! I would absolutely be thrilled to win this! I love your site! Have already liked you on facebook and so glad as always that I do!!!! I totally like Totally Target on Facebook! Thank you for the giveaway! Cool gift card!! Awesome giftcard I would totally love to win! Super cool! Would love to see how far I could make that $50 last! Thanks for all that you do. 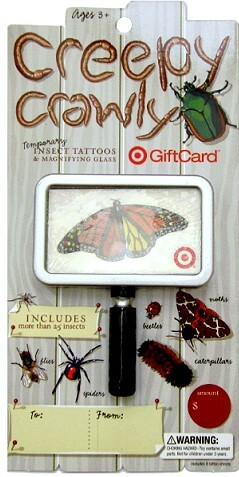 I like (love) Totally Target on FB! Love your Totally Target website!! Of course I like TT on Facebook!